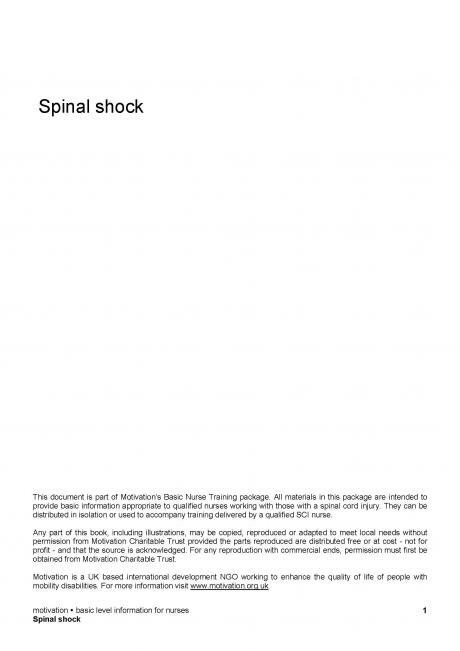 This is a handout about spinal shock. It is intended for nurses working in less resourced countries. It has been provided by Motivation - an international disability and development organisation working in low-income countries to enhance the quality of life of people with mobility disabilities (http://www.motivation.org.uk/).